The Eau Claire Chamber Orchestra, led by conductor and music director Ivar Lunde, will wrap up its final concert of the 2014-15 season with “Two B’s and Two H’s” on Saturday, April 25 at 7:30 p.m. at Grace Lutheran Church, 202 W. Grand Ave. The two B’s refer to composers William Boyce and J.S. Bach and the two H’s refer to George Frideric Handel and Franz Joseph Haydn. The concert will also be notable for “One L” – as in “Lunde”: The Norwegian-born maestro has wielded the baton for the ECCO for more than a decade, but this season finale will be his last conducting experience of a full season. 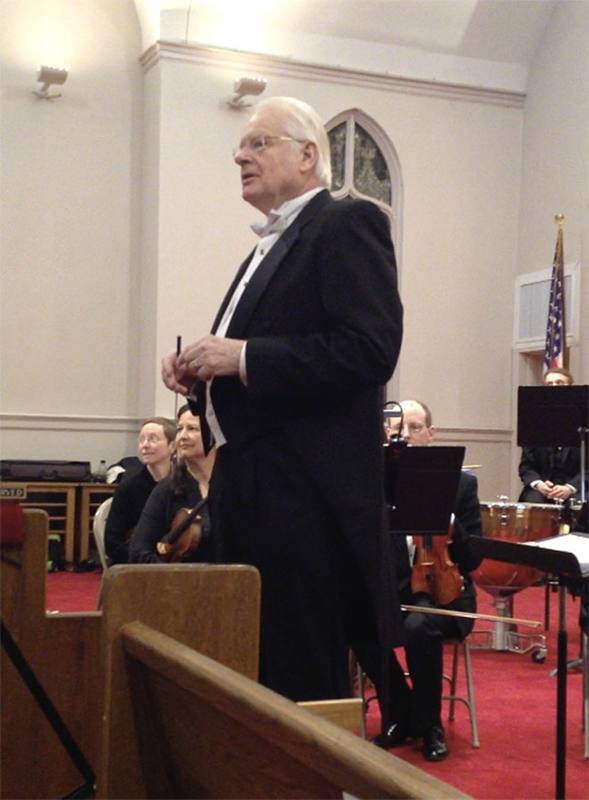 In the 2015-16 season, Lunde will be participating as guest conductor along with others. Music featured will include: No. 5 in D Major by William Boyce, the fifth of Boyce’s eight sinfonias. Boyce was appointed Master of the King’s Musick in 1755 as one of the organists at the Chapel Royal in 1758 before hearing loss made it impossible to continue. Cantata No. 82 “Ich Habe Genug” (“I Have Enough”) by J.S. Bach will feature soloist Kenneth Pereira, baritone. This cantata was written in 1727 for the Purification of Mary Feast. The original bass arrangement was written to depict the old man Simeon who was at the presentation of Jesus to the Temple. Suite No. 2 in D Major of Water Music by George Frideric Handel is the second of three suites of the well-known work commissioned by King George and was performed on July 17, 1717, by a huge orchestra on a barge going up the Thames River in London with crowed lining up on both banks. Sinfonia 23 by Franz Joseph Haydn is one of 104 composed by Haydn, and was completed in 1764 when he began his lifelong career with the Esterhazy family. UW-Eau Claire music professor Gretchen Peters will set the scene at 6:45pm. Artwork by Thomas Gardner III of Terra Finis/Owl’s Hill will be on display. Tickets are available at the door, Mega Foods, Festival Foods, and Neff’s Piano Shop. The cost is $23 for adults, $20 for seniors, and $8 for students.